This morning my heart feels very heavy. 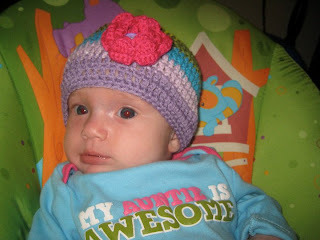 My friend from college, Audrey, and her husband Kyle lost their 5 month old baby girl Annabelle Joy last night. I don't know all the details but from what I do know, she had something called SCIDS which from my understanding is basically no immune system. Her little body was unable to recover and last night she went to be with Jesus. I sit here in my home with my little girl sleeping soundly in the room next door and I just weep. I weep because I can't imagine the pain Kyle & Audrey are experiencing right now. I weep because I think of how much I love Keira and how much it would hurt to lose her. I weep because I know that Jesus is weeping right along with us. I weep because of anger at this world for the sin we live in day in and day out. 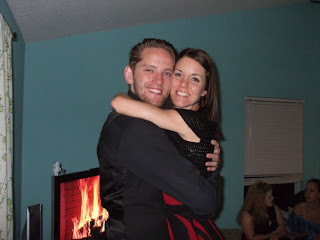 I weep because my heart hurts, for myself but mostly for Kyle & Audrey. I know this is a cheesy picture of Jesus, but I'm a visual person and seeing him here holding this little baby is what I believe He's doing right now in heaven! She's looking straight into the eyes of Jesus and experiencing a satisfaction and comfort that we have yet to know until we stand in his presence and he reaches out and physically holds us as well. He's holding that sweet girl right now and to be honest...I'm a little jealous. A few days ago I was reading in John 11 about when Lazarus dies and Jesus goes to him. In this moment I am continually reminded of the oh so common verse "Jesus wept." 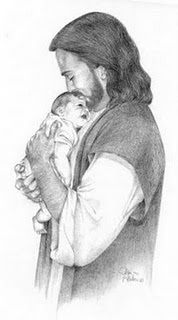 (John 11:35) I get this picture in my head of Jesus leaning over Annabelle and just weeping because He loves her so much. He's weeping because He desires so much more for us as His children, yet because of sin, we choose to live in guilt and hurt and pain without even knowing all that He has for us! He's weeping because he knows what we were created to be. He's weeping because he hurts that one of his precious daughters didn't get to experience life on this earth for more than 5 months. The next verse says, "Then the Jews said, 'See how he loved him!" Oh how Jesus loves us! His heart breaks when we are hurting! When things like this happen it's easy to ask God "Why?" or blame him for taking this sweet little girl long before she could really experience all that life has for her. And I'm not the parent in this case so it's easy for me to say now, but the answer to the Why? is because we live in a world saturated with sin! I can't imagine what it would be like to lose a daughter so young and so innocent....she didn't do anything to deserve her life being cut short!! But as I was laying in bed this morning thinking and praying for Kyle & Audrey, I kept thinking (or the Lord kept bringing to mind) that Annabelle's purpose took only 5 months to completely fulfill! 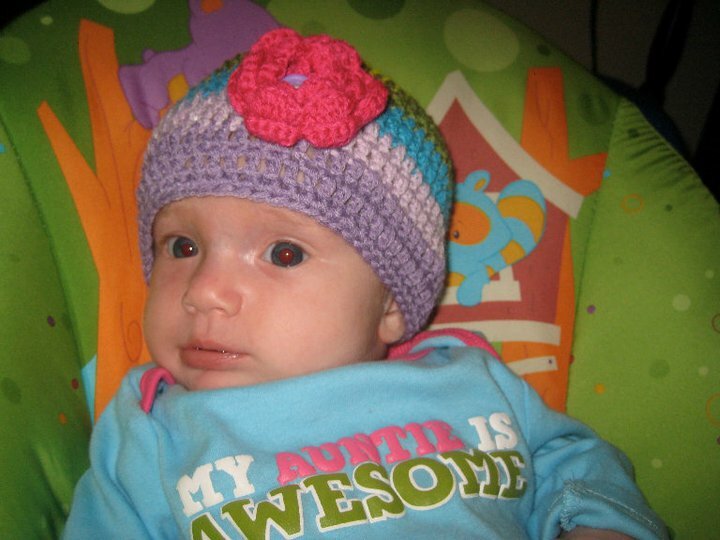 God KNEW from the moment that she was conceived that she would only live 5 months! Her death did NOT take him by surprise!! That little girl, while not even knowing how to talk or walk, fulfilled ALL, every last short minute, of what God intended and purposed for her life!!! If she would have lived another day on this earth, the purpose of what she was first put her for, would have already been accomplished so she would be living for nothing. I am reminded as I write this that each one of us are put here, not knowing for how long or short our days might be, for a very specific purpose. Once that purpose is fulfilled, God takes us home. Oh Lord may I live each day with PURPOSE! May I know that you love us enough to weep when we hurt! May I seek your face when I am hurting knowing that you are the only one who offers complete peace!! Be with Kyle & Audrey in these moments, days, months, years ahead of them as they miss their little girl and do life without her. May I always know that you've experienced loss and know what I'm thinking and feeling. Lord Jesus may this world come to know you and be FREED from the chains that sin holds us down to! I long for the day that our bodies are made new and our suffering is no longer. Do you know that Jesus loves you? No really.....think about it. Do you live in such a way that the God of the UNIVERSE LOVES you?? How does your life reflect what you believe??? My girl is just SO much fun lately!! I seriously laugh so hard at her all day...and I can imagine that she's even going to provide more laughs when she starts talking. My favorite things she's doing now is blowing loudly by pursing her lips, squinching up her nose when she smiles, she has this high pitched coo and just sings and listens to her voice, she's just learned her "g" sound so that's the new one that's frequently used, her left top tooth just broke through (and we're anxiously awaiting the pair...she's NOT a fan of teething!) but she has started to push her tongue out and I think she feels the top tooth with her tongue....there are just so many things that I just love about this little girl! I am absolutely obsessed with her!! For those of you who are moms, you know what I'm talking about. For those of you who aren't moms yet...just wait...it is seriously the greatest thing EVER!!!! I mean, LOOK at her!!! Honestly!!!! GOD THANK YOU FOR MY GIRL!!!!!! !